Since 1932, programs such as our Global Voices Lecture and Performing Arts Series have provided Chicago’s citizens, universities, cultural institutions and community groups’ meaningful engagement with master artists, scholars and leading figures from the world stage. Special opportunities will be developed for graduate students to engage with these leading figures. Through this program, International House builds on its historic and educational position as it continues to expand its role as presenter and cosponsor of innovative, internationally-focused programs. In addition, a new program called the Diplomatic Encounters Series will have a special focus on graduate students. 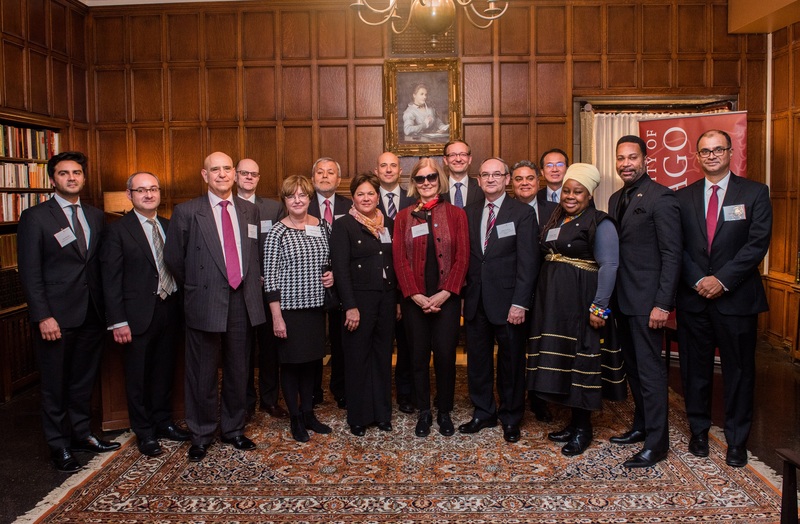 This is a series organized to better connect the University of Chicago community with representatives of diplomatic missions from around Chicago and across the nation. The series aims to provide a venue to hear from leading diplomats, engage them in open dialogue, and come to a better understanding of the issues, challenges, and opportunities facing countries around the world.